Living a Fit and Full Life: Spell-a-Brate the Most Terror-ific Time of the Year with NEW Jumbo Variety Bags Filled w/ Your Favorite Halloween Treats! + BUTTERFINGER® Peanut Butter Cups Skulls! Spell-a-Brate the Most Terror-ific Time of the Year with NEW Jumbo Variety Bags Filled w/ Your Favorite Halloween Treats! + BUTTERFINGER® Peanut Butter Cups Skulls! This fall, NESTLÉ® BUTTERFINGER® unveils the spookily scrumptious new Fun-Size edition of BUTTERFINGER® Peanut Butter Cups in the shape of skulls and new jumbo value and variety bags filled with everyone’s hauntingly favorite chocolate, chewy, and sour candy treats. Hitting store shelves for a limited time this Halloween season, the BUTTERFINGER® Peanut Butter Cups Skulls Fun-Size will be a bewitching addition to any candy bowl or horrifyingly delicious recipe. Variety bags abound this year with two of the largest bags in market this season, offering a frightening selection of chocolate and sugar surprises at affordable prices delivering a scarily great value. 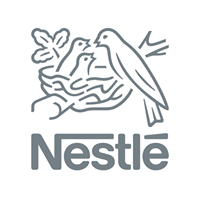 Click HERE to learn more about Nestlé! Follow Nestlé on social media!